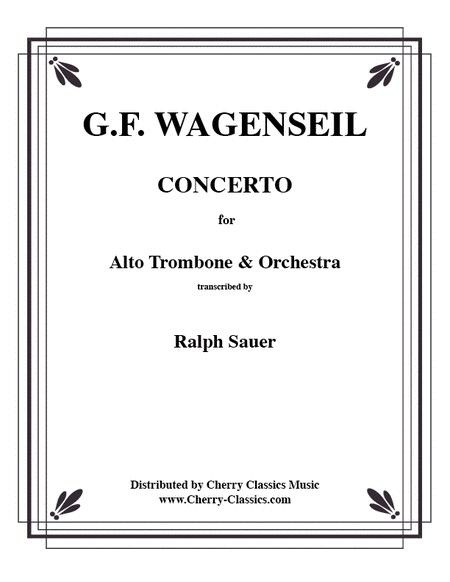 Arranged by Ralph Sauer. Classical Solo. CD-ROM of pdf files (containing full score and parts). Published by Cherry Classics (CY.CC2086). 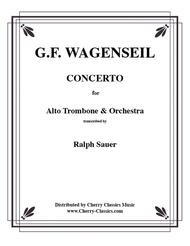 A beautiful "performance" edition of the Wagenseil Concerto for Alto Trombone & Orchestra by Ralph Sauer.